2013 is here. And you know what that means. Another chance to make a New Year’s resolution! And there’s one resolution that every employer should be making – a resolution that will save you money, time and stress! It will keep you out of the Employment Tribunal, protect your reputation and will definitely help your business. How can you possibly manage your staff properly if you don’t have the option of firing anybody? You may even be thinking that many of my blogs and my advice involve helping employers to fire people. Well actually, I never advise how to fire people. I advise how to dismiss people. Firing suggests something sudden. Impulsive. A snap decision. A bit like firing a gun. Dismissals involve a procedure. An investigation. An opportunity for the employee to have their say. The right to appeal. No matter how convinced you are that your employee needs to go, you must follow the right procedure before taking any disciplinary action. Simply calling someone into your office and telling them they’re fired will land you in an Employment Tribunal. 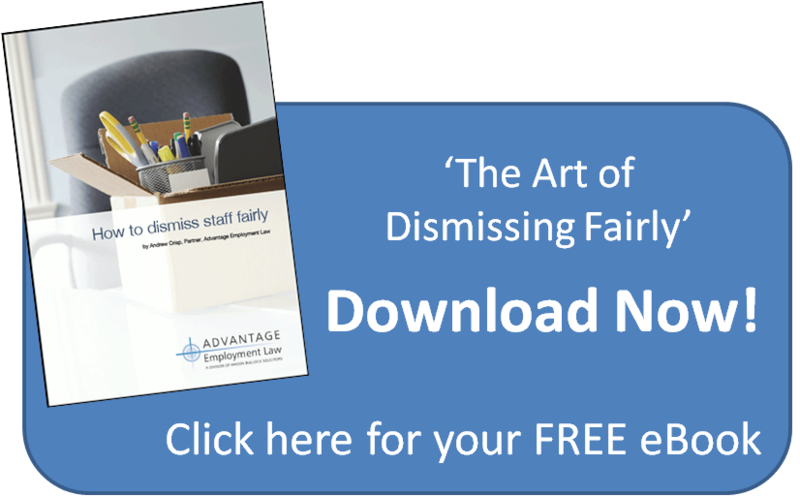 If you can show that you genuinely believe that the employee is guilty, the dismissal is likely to be fair, provided that you follow the right procedure. This remains true even if it turns out your belief in their guilt was wrong. It’s not unlawful for you to be wrong, only to act unfairly. So in 2013, if you think one of your staff needs to go, don’t fire them. Suspend them if you need to. Carry out an investigation. Follow the right procedure. Take legal advice. And then make a decision. And if you’re not sure what to do, contact me and we’ll have a chat. Previous Entry: Can you Dismiss a Driver who Loses their Driving Licence?